Here are 3 tips to saving money on your window replacement project by recycling or reusing your old window frames.The last thing on most people’s mind after getting brand new replacement windows is where are my old, inefficient, drafty windows going? Finally, they are gone and who cares where they end up! Right? 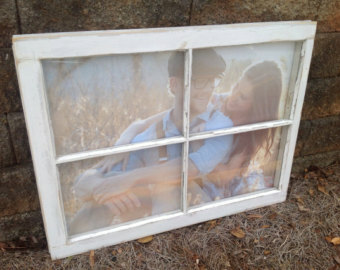 But did you know you can make money or at least save some cash by reusing those old frames. Old windows frames are trending on Pinterest and make great shabby-chic wall art. Keep your old window frames and become your own self-proclaimed Joanna Gaines. Save money by asking for a discount on your disposal fee. Most window replacement companies would be happy to not have to haul off your old windows. The Window Source Atlanta will give you $50 Off your disposal fee if you decide you would like to keep your old windows. If you are really looking to make bank using your old windows, consider selling them online. Etsy, Facebook yardsales, and Ebay are great places to sell your old frames locally. Old window frames can sell anywhere from $10-$100 per window sash online. DIY projects are everything these days and old window frames are like a blank canvas. You can also sell your frames at local antique shops. Here are some ideas on how to turn your old frames into a masterpiece. Not into DIY projects or maybe you just don’t have the time? Donate your windows to a local nonprofit. Habitat for Humanity willingly accepts recycled building materials. Not only is this great for your community but you can also use your donation as a tax write off. With these tips for reusing your old window frames, you should save on your initial window replacement project and make some cold hard cash. Now pull the old paint brush out and get creative!